Tatla Lake, Cariboo Chilcotin Coast, BC, Canada is a small town located on the western end of the Chilcotin Grasslands Region in British Columbia, Canada. The highway town is surrounded by many recreation lakes, rivers and a vast network of backcountry gravel roads and wilderness trails. Activities most enjoyed in Tatla Lake, BC and the surrounding areas includes fishing, hiking, canoeing, river kayaking, horseback riding, camping, off roading, boating and ice caving, snowmobiling and xc skiing. A few of the more popular activity and sightseeing park, lake and trail destinations located in and around Tatla Lake, Cariboo Chilcotin Coast, British Columbia includes the Ts'yl-Os Provincial Park, Bluff Lake Trail, Potato Trails, Nuntsi Provincial Park, Chilko River Paddle Route, Taseko River Paddle Route, Tatlayoko Lake, and Chilko Lake (largest natural high elevation fresh water lake in North America). 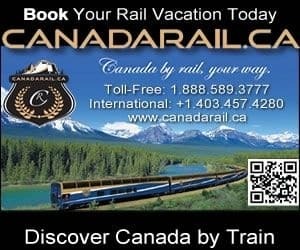 Travel services important to travelers in and around the community of Tatla Lake, Cariboo Chilcotin Coast includes accommodations (fishing lodges, resorts, outfitter lodges, wilderness camps, motels, cottages), campgrounds, grocery store, gas station, restaurant and post office. Tatla Lake is sometimes where adventure companies come to meet and pick up guests. Tatla Lake, British Columbia, Canada is located 297 kilometres (184 mi.) west of Williams Lake on Highway #20 and just south of Anahim Lake, BC and east of the Tweedsmuir Provincial Park. Explore Tatla Lake, BC, Canada Travel Guide for Accommodations, Attractions and Adventure. eh! Plan to Visit Tatla Lake, BC today.